One of the world's deadliest diseases, malaria takes the life of a child every two minutes. Malaria, one of the world's deadliest diseases, kills 435,000 people a year, most of them children in Sub-Saharan Africa. Three African countries are set to receive the world's first malaria vaccine this week as part of a WHO pilot program. The vaccine has the potential to save the lives of hundreds of thousands of children worldwide. The 20th century has seen some truly profound advances in human medicine. We now produce clean water and uncontaminated food at unprecedented levels. We've eradicated smallpox and rinderpest — the former having been one of history's deadliest diseases, the latter having caused widespread, depopulating famine — and we're close to eradicating deadly, debilitating diseases such as polio, yaws, and rabies. But some medical leaps have been more elusive. One of the most devastating has been our inability to find a cure for malaria. Malaria is among the world's deadliest diseases. It kills 435,000 people worldwide every year, the vast majority in Sub-Saharan Africa. Ninety percent of all malaria-related deaths occur in Africa, and children under the age of five are its most likely victims. In fact, every tenth child death in 2016 was the result of malaria. But that tragic paradigm may be changing soon. The World Health Organization has launched a pilot program for the world's first malaria vaccine, a change that's been three decades in the making. The malaria vaccine pilot program will launch in Malawi this week. In 2016, the country suffered 45 malaria-related deaths per 100,000 people. In the coming weeks, Ghana and Kenya will introduce the vaccine as well. In 2016, these countries suffered 69 and 11 deaths per 100,000 respectively. The vaccine, called RTS,S, will be administered in a regimen of four doses. The first three will be given to children between five and nine months of age. The final dose will be provided around the children's second birthday. The program aims to vaccinate around 360,000 children per year across the three countries. It will focus on areas with moderate-to-high malaria transmission rates in the hopes of maximizing the impact. "Malaria is a constant threat in the African communities where this vaccine will be given. The poorest children suffer the most and are at highest risk of death," Dr Matshidiso Moeti, WHO Regional Director for Africa, said in a statement. 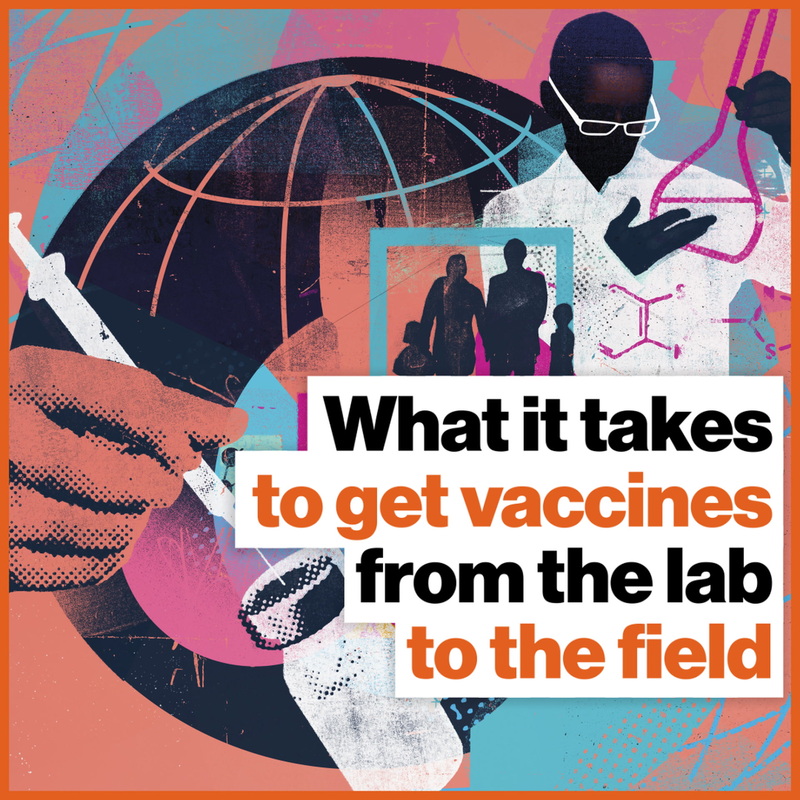 "We know the power of vaccines to prevent killer diseases and reach children, including those who may not have immediate access to the doctors, nurses and health facilities they need to save them when severe illness comes." WHO's press statement notes that the pilot program is a global partnership. It has brought together a range of in-country and international partners to coordinate with the ministries of health in the three pilot countries. GSK, the vaccine's developer and manufacturer, will donate 10 million doses. "This is a day to celebrate as we begin to learn more about what this tool can do to change the trajectory of malaria through childhood vaccination," Moeti added. However, the vaccine is not a silver bullet aimed at ending the malaria epidemic. RTS,S does not have a 100 percent success rate, offering only partial protection. In clinical trials, it prevented approximately 4 in 10 malaria cases (3 in 10 for life-threatening malaria). As such, WHO is presenting the vaccine as a "complementary malaria control tool." The vaccine paired and supported by other preventative measures, including bed nets, indoor insecticides, and antimalarial treatments. "It's a difficult disease to deal with. The tools we have are modestly effective but drugs and insecticides wear out — after 10, 20 years mosquitoes become resistant. There's a real concern that in 2020s, [cases] are going to jump back up again," said Adrian Hill, a professor of human genetics and director of the Jenner Institute at the University of Oxford, told CNN. Malaria has proven difficult to eradicate because of its nature. The disease is caused by a parasite of the genus Plasmodium. Its life cycle is split between a sexual stage in its mosquito hosts and an asexual stage in human hosts. When a mosquito bites an infected human, it contracts the disease from that person's red blood cells. When it bites another person, the mosquito transmits the disease to a new host. The infected patient develops a fever, chills, headaches, and other flu-like symptoms. If untreated, it can develop into severe malaria, where the symptoms can manifest into anemia, organ failure, and neurological abnormalities. Any mosquito that bites this person has the chance to then pass on the disease further. The difficulty in preventing mosquito bites, the insect's growing resistance to insecticides, and changes the parasite undergoes during its life cycle, all contribute the difficulties on controlling and containing malaria in the world's poorest countries. WHO's Sustainable Development Goals are 17 directives comprising 169 targets. The ultimate aim is to advance peace and prosperity for all people. The program's third directive is to ensure health and well-being for all people of all ages. Among its targets are the end of the AIDS, tuberculosis, and malaria epidemics by 2030 and the reduction of mortality for children under 5 to as few as 25 per 1,000 live births worldwide. Despite the difficulties still ahead, any substantial reduction in malaria deaths is a welcome change and a significant step in achieving this goal. Thanks to this vaccine, hundreds of thousands of children will likely avoid a crippling, painful death. Communities in some of the world's poorest regions will be given a chance to better stabilize and grow. And the pilot may help scientist develop better strategies for future endeavors. The vaccine's development came at an auspicious moment, too. Malaria cases began to rise in 2017, after nearly two decades of decline. "The malaria vaccine is an exciting innovation that complements the global health community's efforts to end the malaria epidemic," Lelio Marmora, executive director of Unitaid, said. "It is also a shining example of the kind of inter-agency coordination that we need. We look forward to learning how the vaccine can be integrated for greatest impact into our work." Eyes front! Your headband says you’re daydreaming. China is testing electronic monitoring of students' attention levels. Schools are experimenting with students wearing EEG headbands as a means to monitor the amount of attention they're paying. The headbands are a product of a U.S company, BrainCo. The hope is that such monitoring will help students learn and teachers teach more effectively. It would be great if school were always fascinating and compelling, especially to young minds dutifully at their desks day after day, month after month. Alas, it's not so. What would childhood schools days have been without windows through which we could gaze at the sky, at cars, dog-walkers, and really anything at all other than the teacher and the blackboard, or today's equivalent, smartboards? Educators in China, it's being reported by SupChina, are having none of that. They've experimenting with headbands that allow them to monitor how well each of their students is paying attention. The headbands the Chinese are trying out actually come from America, from Boston startup BrainCo. The trackers are a product called the FocusEDU, and were developed in association with Harvard Center of Brain Science Neuroimaging. It's based on an algorithm from NASA . The Chinese are checking out the headbands in Hangzhou in Zhejiang Province. Another school in Jinhua in the same province has previously given them a shot. BrainCo says that in January, it completed a 21-day trial involving 10,000 Chinese students. (The company is also working with schools in Mexico, Spain, and Brazil.) A distribution deal in China has already been arranged for 20,000 headsets. BrainCo founder Bincheng Han tells the Daily Mail, "Our goal with the first 20,000 devices, each of which will be used by multiple students in schools, is to capture data from 1.2 million people." The company says the January trials resulted in better grades, though there's no independent confirmation of that, and no scholarly studies have yet been done to confirm the claim. The neuroscience community would no doubt require such evidence to be totally onboard with the idea of the headbands. The company envisions sharing their database of brain activity with research entities down the road. The more customers they get for their product, the larger the database, of course. In a headbanded classroom, a teacher can easily track an individual student's attention level via an attention-level report that shows what's going on in their brain. This can identify students who need extra help remaining engaged. BrainCo envisions these reports also being used by the students themselves as a way of assessing their own attentiveness during lessons. The system also provides metrics on the entire class' aggregated attention level to the instructor, who can then fine-tune the curriculum to more effectively resonate with learners. Finally, school administrators can use "big-data analysis" to learn more about how and when their student populations learn best, and modify schedules accordingly. They can also derive teaching best practices from the data to strengthen the connection teachers make with their students. As with the adult version of Focus depicted here, FocusEDU headbands use electroencephalography (EEG) technology to monitor each wearer's' brain. In terms of downside, some students reportedly find the headband uncomfortably restrictive, and the devices' presence adds an additional layer of competitiveness and pressure to the classroom experience — teachers in the tests announce the top three most attentive students at the end of each class. The kids are too young to be concerned about personal privacy, but it seems likely their parents and privacy advocates would have some interesting thoughts. Chores cause conflict. Try managing them like this instead.